Ria Meera Munshi, Director of Ri Ri’s Dance Academy, was invited to entertain the high profile guests at this prestigious international Event. The Bollywood Dancing in Latvia was enhanced by Ria, a visiting PIO (person of Indian origin) artiste. Ria mesmerized the audience with two Bollywood dance performances, both of which combined a fusion of songs. These Bollywood hits were specifically chosen for India’s Independence Day celebration in Riga, with each song reflecting the nature of the occasion. Title song ‘Phir Bhi Dil Hai Hindustani’, is an example of one of the well-known patriotic tracks, which Ria danced too. An enthusiastic applause, by the guests, after each performance, certainly echoed their appreciation. 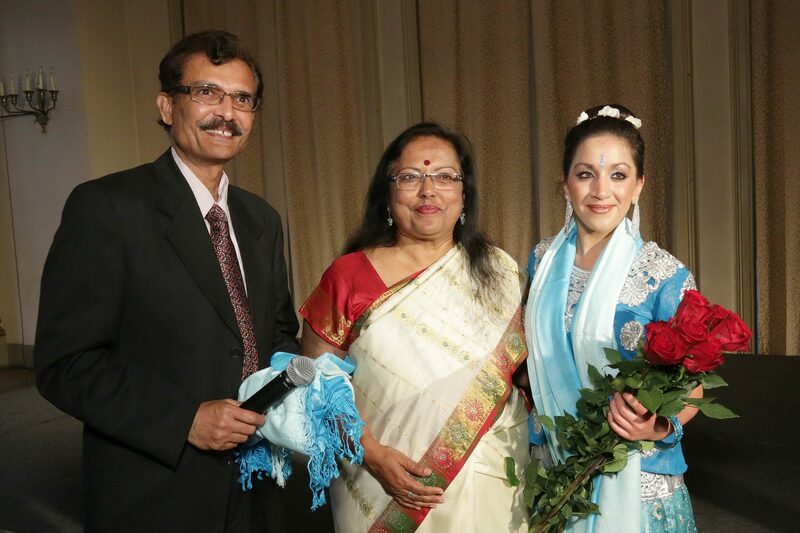 Ria shared the stage with Latvian artists who performed beautiful Indian Classical dance routines.